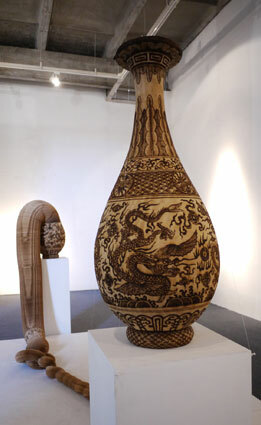 Beijing Found Museum/Taiwan Modern Art Gallery will take four outstanding artists including Li Hongbo, Qu Qianmei, Wang Lei, Shi Li-jen to Art Stage Singapore 2012 to bring brand new art work and unique aesthetic experience. In 2010, Li Hongbo completed his study in Department of Experimental Art in Central Academy of Fine Art and made fame with a series of stylistic paper silhouette installations displayed in graduation exhibition that year. Afterwards, he focuses mainly on the study and utilization of paper materials and strives to explore new perspectives and methods in artistic expression.The excellence of Li’s paper silhouette installations is mainly reflected from his skilled handling of the material. He binds the paper of rich elasticity and toughness into certain thickness before cutting and assembling. In the limited display space, he stretches and reshapes the original material, giving the static work incredible variability. Therefore the sculpture of limited size is extended and raised to a grand space installation. He creates the shape of the “object” with soft paper and changes the way the “object” is displayed through simple action of stretching. The simple yet sophisticated way of creation and extraordinary visual experience it brings has gone beyond the cultural connotation of the original material and therefore accomplished artistic reconstruction. In his work, paper, the cultural icon which carries rich traditional Chinese cultural implication, is given a more modernistic sense of material and feeling. Qu Qianmei, born in Zhejiang Province in 1956, has been lived in France for over twenty years. She is been enlightened by elder generation masters such as Zhao Wuji and Zhu Dequn through the road to art. His creation is based on self lyricism and guided by emotional abstraction. She applies materials such as kaoline, sand and rope as texture and employs heavy iron as frame, to make her work great scene and great character]and to bring the audience the feeling of crude and dignity. Qu Qianmei imposes the awareness of oriental philosophy -- Xin Huai Zao Hua, Cheng Huai Wei Xiang(in English is to embrace the fortune and taste the equanimity) and utilizes Chinese traditional ink and grand scenery, using structural abstract language, to concentrate in intriguing work that have great impact on people, featuring in Chinese cultural spirit and expressionism emotion. 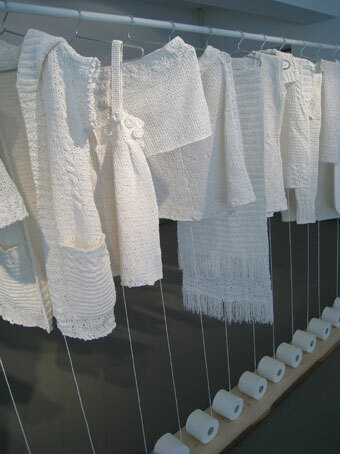 Qu Qianmei had completed her first solo exhibition in Taiwan on September, 2011 to present the annual brilliant new work. She will continue the glory in France to have her solo show held by UNESCO on May, 2012. After reconstruction and recombination, Wang Lei reproduced paper, the most important invention in human civilization, to surprise us and to make us follow closely and think about it. Wang Lei manipulate colorful paper to cut, crumple and knit to reconstruct new body and project which are various ancient clothes imaged by modern people, and obtain the corresponding expression of concept. His work gives off Chinese cultural sense, which is the soft and introverted pure poetry contained in Chinese traditional culture. Wang Lei's art, abandons the established form, returns to sensitive origin, respects self feelings, open the inner space, and achieves reconstruction that surpass media. His exercise tells us that the concept of art could only be put in subject and be realized by the hand of art. The cultural instinct of artists is both the instinct to material and the experience of complicated hand production, which are essential facets of art work. The artists could reach the state of forgetting the self through the continuous conversation and making of the material. 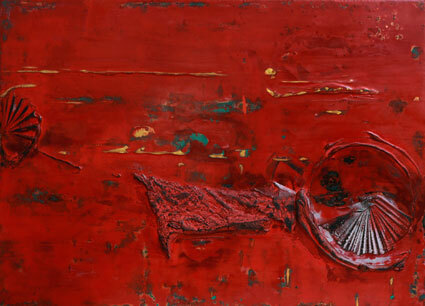 Shih Li-jen, in favor of strong visual theme, is adept in cultivate power and beauty from originality thinking. He focuses on the excavation of human nature and animal love in his paintings and sculptures, in which Rhino family could best expresses his view to life and the world.His new work Kingkong Rhino enjoys both elegancy and modernism in the overall modeling, and possesses fashionable and metrical lining like Lamborghini. 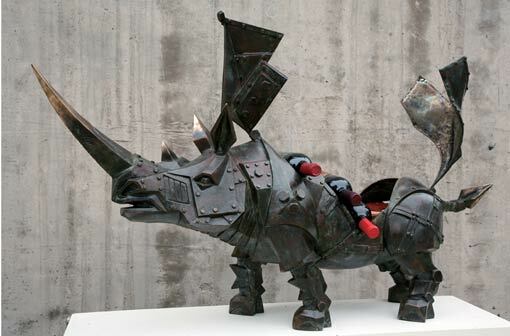 The artist designs the convertible function on the back of rhino to allow the inner side be used as container for red wine and Champagne, fully exemplifies the creative spirit of making art life-like and making life art-like. The other masterpiece, the stainless steel King Kong Rhino height 888 centimeter completed in September 9th, 2011, had now been collected by the chairman of Kelti International Mr. Chen Wugang and placed in the front square of Kelti general headquarters in Shinyi district Taipei, to symbolize the flourishing business of Kelti Group and create brand new art landmark in Taipei Shinyi business area. In 2012, Kingkong Rhino and Rhino Family will be put on display in Central Park, New York to bring the North America audience unique art experience.